1.In large zip-top plastic bag, combine garlic, soy sauce, ginger, lime juice, honey and sesame oil. Add steak and seal bag, pressing out excess air; refrigerate at least 4 or up to 12 hours. 2.Remove steak from marinade; reserve marinade; let stand at room temperature 30 minutes. 4.Heat same skillet over medium-high heat; add reserved marinade and simmer 1 minute. Cook vegetables in microwave oven as label directs; stir into skillet. 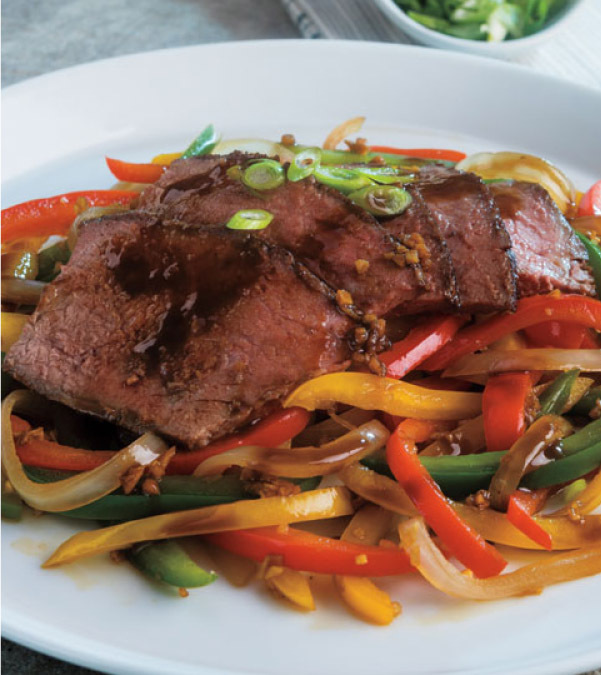 Thinly slice steak against the grain; serve with vegetables and sauce.